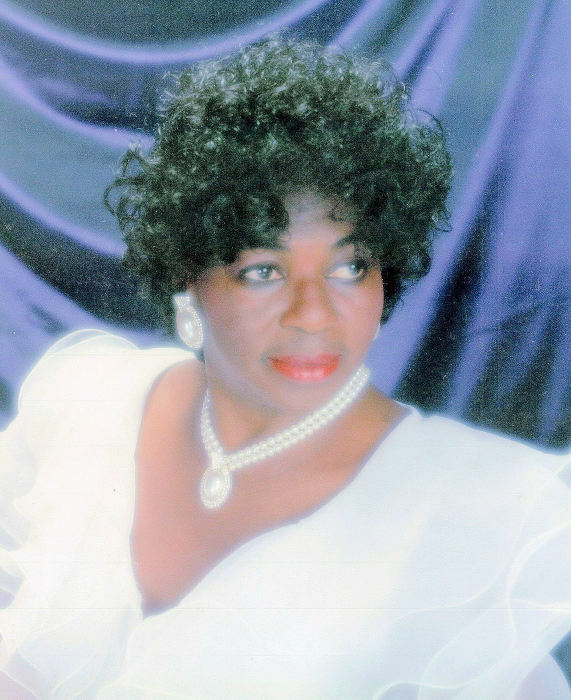 Obituary for Doris Jean Chambers | King-Tears Mortuary, Inc.
Born on July 15, 1933, Doris Jean Jackson was the third eldest of ten children born to the late Kermit and Geneva (Hysaw) Jackson in Austin, Texas. Doris grew up and attended schools in East Austin. As a young girl, she professed her love for Christ when Reverend F. D. Davis baptized her at Olivet Baptist Church of Austin. She was a graduate of the original L. C. Anderson High School class o 1952 and excelled as a drum majorette. In 1951, Doris met the late Horace David Chambers and a year later they married. During their 24 year union, God blessed them with 10 children. Her children and family fondly refer to her as Mother - the loving and prayerful matriarch of the Chambers family. She had a warm way of expressing her love and would often say "her sweet love" or "her Mother's sweet girl." After visits to her home, she would on occasion kneed in prayer with each guest. Doris had a striking sense of style and a timeless grace. Her passion for fashion led her to pursue modeling. she also enjoyed attending the Ebony Fashion Fair with her daughters. She earned a BS in Business Education in 1985 from Huston-Tillotson University. Her passion for service others led her to a career in nursing, ultimately retiring as a LVN. She would serve similar roles in ministry as a church nurse, often remembered for passing out peppermints. In all her years of stewardship, she was a member of First Baptist, Great Mount Zion (GMZ) Baptist church and most recently Mt. Sinai Missionary Baptist Church. At GMZ, she was an usher and served on the Women's Ministry under the pastorship of the late Reverend N. W. Bacon. At The Mount, Doris was passionate about her role with the Women's Ministry until her health began to decline. Doris always sought to encourage those around her with the reassurance of God's Promises. She would often say, "that's no excuse" as practical advice. She was strong-willed and had a fighting spirit. After an 8-year battle with Alzheimer's disease, out Heavenly Father called Doris home to rest on January 10, 2019. Her parents, ex-husband and daughter Diane preceded her in death along with her sisters Myrtle Jackson, Lola B. Jackson Howard; brothers Joe Kermit Jackson, Clarence Jackson, Charles Jackson and Raymond Jackson; grandson Virgil Holmes, great grandson Kobe Chambers and great great grandson Marcus Coleman, Jr.
Left to cherish her memory are her children Carla Chambers of Pflugerville, Texas, Randy Chambers of Austin, Texas, Lura Denise Jones (Robert) of Killeen, Texas, Phyllis Roberson-McCree (Richard) of Euless, Texas, Cody Chambers (Deborah), Linda Dorace Chambers, David Chambers, Genny Chambers-Lee (Johnny), Tammy Chambers and April Chambers all of Austin, Texas. She also leaves her brother Ray Jackson Sr. of Austin, sisters Gratches Propps of San Antonio, Texas and JoAnn Lemon (Charles) of Chicago, Illinois; 24 grandchildren; 32 great grandchildren; 3 great great granchildren; as well as a host of relatives and friends.